Phil Poirier is a true Master of many trades. He is a world class lapidary as well as goldsmith. He is a teacher, having presented numerous times at the Santa Fe Symposium as well as taught individual workshops all over the world. A manufacturer of tools that make the jobs of goldsmiths, silversmiths, and metal artists the world over so much easier, he is the owner of Bonny Doon Tools. 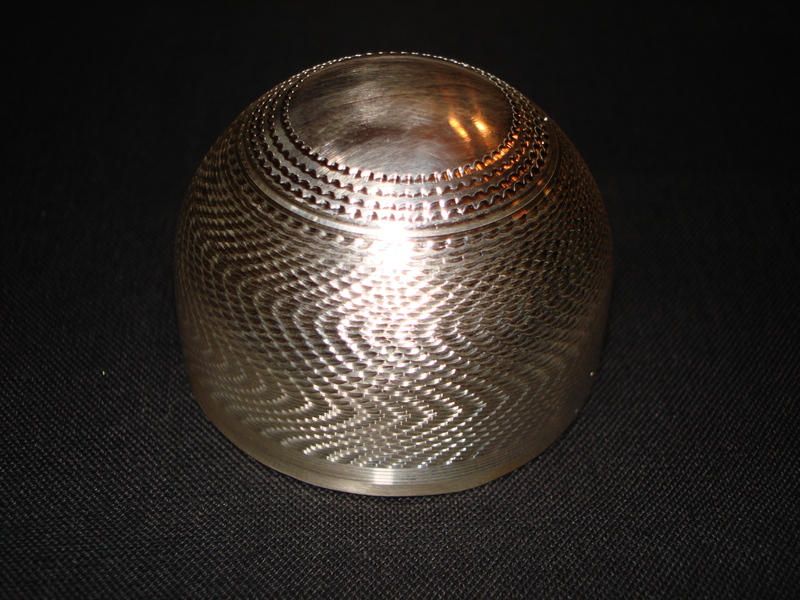 His broad array of products are available through Rio Grande Jewelers Supply in Albuquerque, New Mexico. Though I am not affiliated with either company in any way, I do consider myself among the many happy customers whose elbows and ligaments are less sore and tired through the use of the ingenious tools and accessories Phil has developed. His knowledge of CAD and CNC is broad and deep and allows him to realize the creation of such marvels, among many, as synclastic and anti-clastic bracelet and ring formers that move metal as if it were clay and make production easier for creators everywhere. What I didn’t know until a couple of years ago is that for over 20 years Phil has been restoring, repairing, and collecting engine turning equipment as well as become master in the art of its practice. He is also an accomplished ornamental wood turner. Last year, he presented an excellent paper on titled, “Art, History and Processes of Guilloché Engraving” at the Santa Fe Symposium. This article is available and free to download from the web link above. 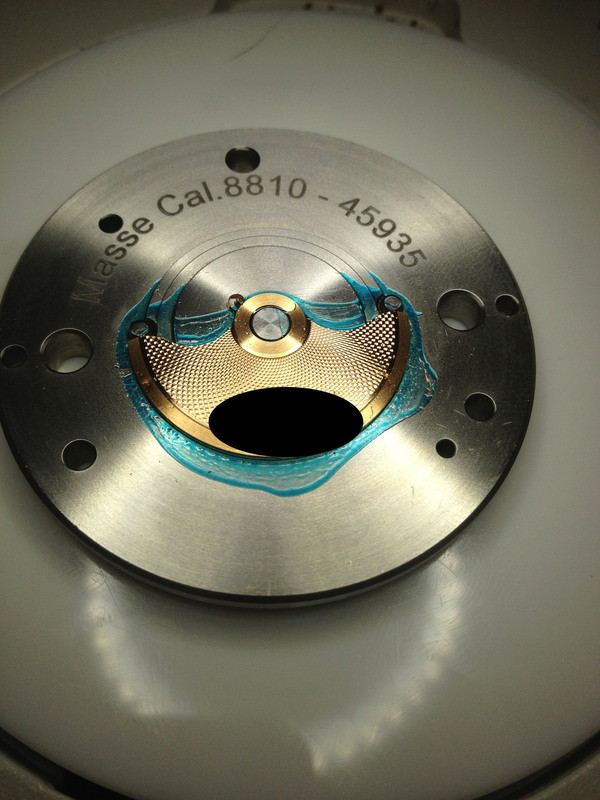 This year, Phil’s presentation, his fourth, at the Santa Fe Symposium will be titled, “Implementing the Processes of a Rose Engine in the Modern Shop” and will cover a broad range of topics and include more information on engine turning/guilloché. It is still possible to register and attend this event as of this posting through the links included herein. Josh Shapiro, by day, is a high school principal and teacher. By night, however, he has been teaching himself engine turning, and the results speak for themselves. This is a photo of what he considers his “first acceptable” watch face dial. 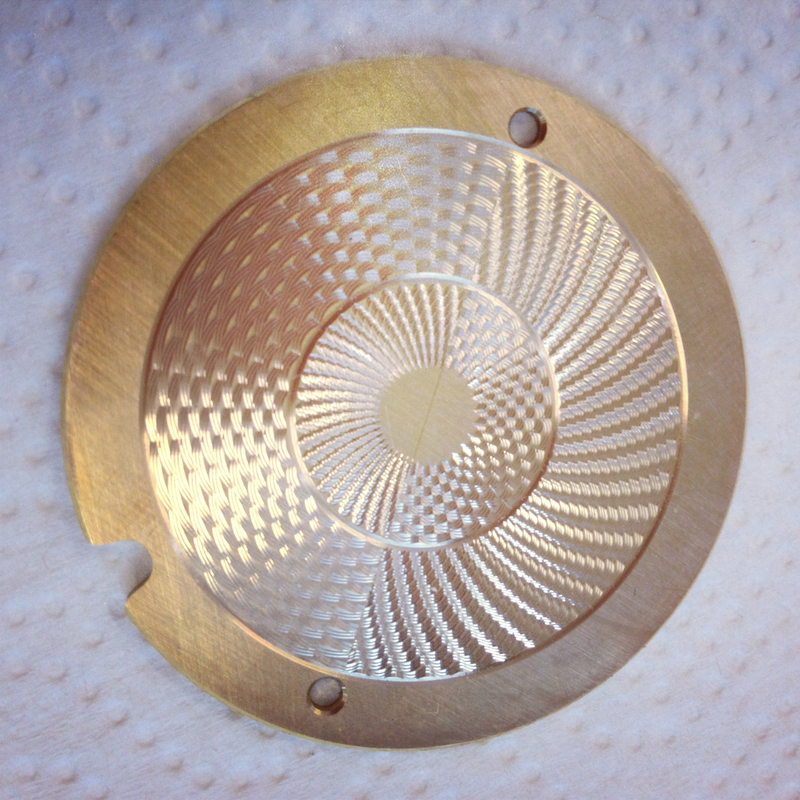 The 18K numerals are not of his making, but came from a vintage Hamilton pocket watch. He is a student of watchmaking and a huge fan of the late George Daniels as well as Roger Smith. He is now taking orders for watch face dials and if anyone would like to get in touch with him, please let me know and I will send contact information along to him. 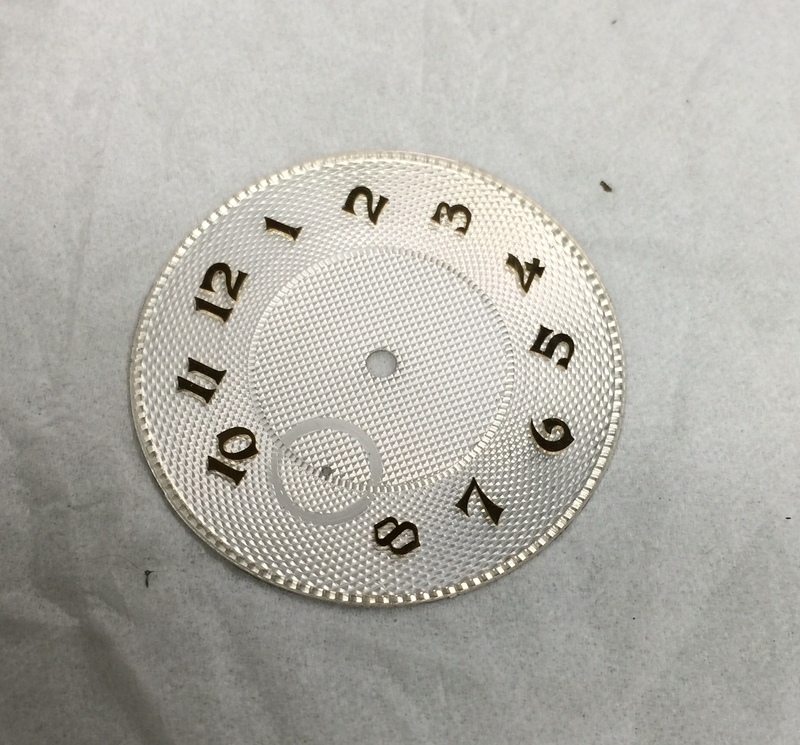 Silver Watch Face Dial with Vintage 18K Numerals from a Hamilton Pocket Watch. By Joshua Shapiro. Engine Turning is alive and well and being practiced and taught in the American Northwest. 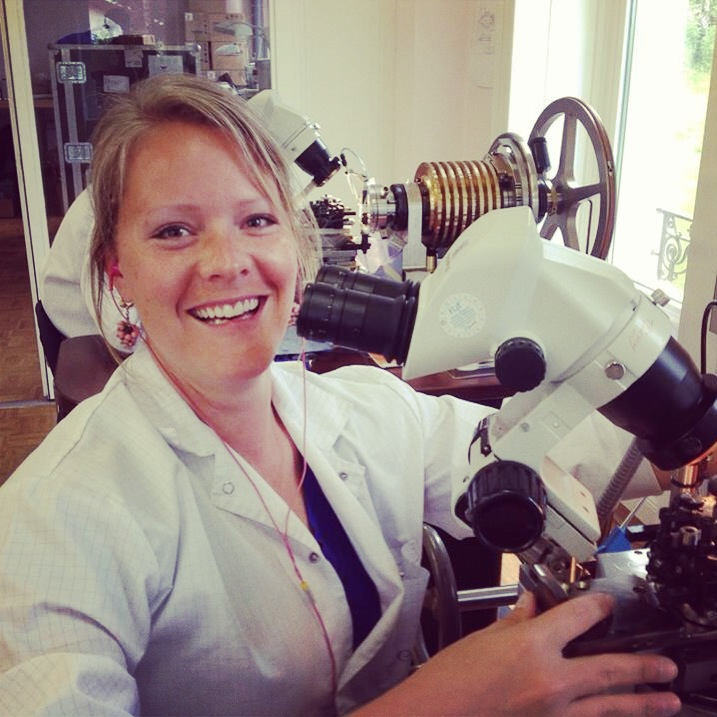 Brittany Nicole Cox is an antiquarian horologist, conservator, preservationist, and restorationist whose atelier is located in the Seattle, Washington area. She is tirelessly working to generate renewed interest in the art of engine turning through classes at her workshop. Already having hosted two sold-out sessions led by master clockmaker, David Lindow, Brittany is sharing her knowledge to enthusiastic students to wide acclaim. Photos shown here, supplied by Brittany herself, show the class in progress as well as the tangible results from it. Below, as well as here, there is a link to her web site and where it is possible to subscribe to her truly magnificent blog. I wholeheartedly recommend signing up to keep up with what is going on with engine turing classes. One also might wish to keep up with others subjects of which Brittany is a specialist. 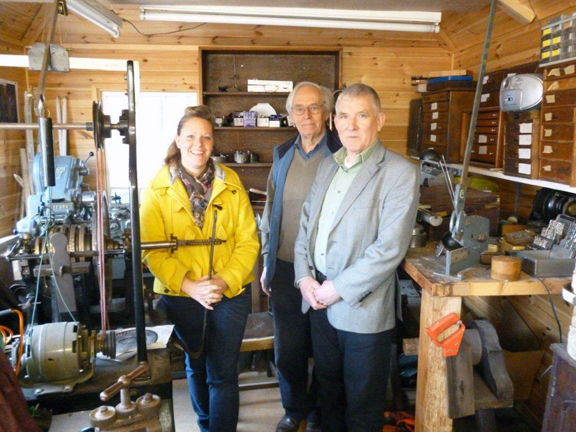 These classes are only a small portion of the goings on in her shop which include Automata, Clock Making, Ornamental Turning and Restoration. As a courtesy to anyone wishing to sell a machine, I am happy to list it here on the blog and perhaps I will even create a special area for this as it seems more and more difficult to find machines at good prices. I must say that I bear no responsibility for anything relative to the sale or purchase and that listing a machine here is only as a service to buyers and sellers! If interested, please email me and I will put you in touch with the seller! 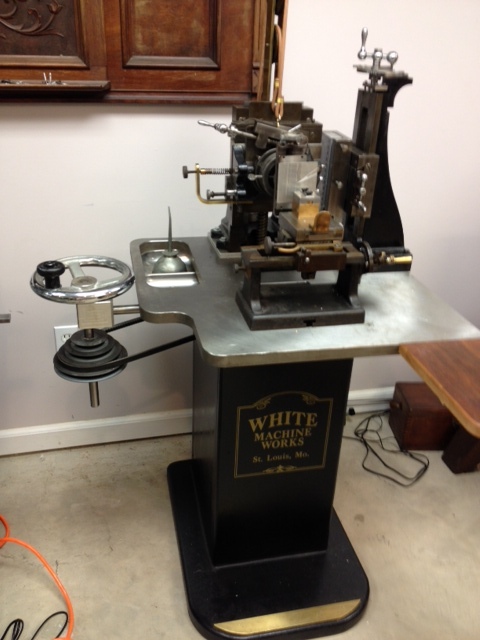 This machine was gone over by Steve White, a tool and die maker and an engine turning expert who has several YouTube videos available for view. One Straight-Line Machine from about the 1940’s. It has all been rebuilt and repainted. There are several pattern bars that go with the machine. The base and table are not original to the machine but look and fit perfect. The table is made of 1 inch thick steel plate. The headstock, cross slide and Pattern bar holder are in all vg working cond. There is a built-in leveling chuck in the head stock. John Edwards has compiled an huge amount of information and has published it as, “Hotzapffel, Volume VI”. He has just received the second edition run from the printers and it is currently available at his web site, Ornamental Turning. I am inserting a link to his site at the bottom of this blog and also adding this book to the bibliography section. This book is more concerned with ornamental turning than engine turning or guilloché, but since many of us have an interest in both, I think it is very important to note it. John’s web site is a treasure trove of information and an excellent resource. This book was a Herculean effort on John’s part to produce and well worth the investment! It is a prized addition to my library. 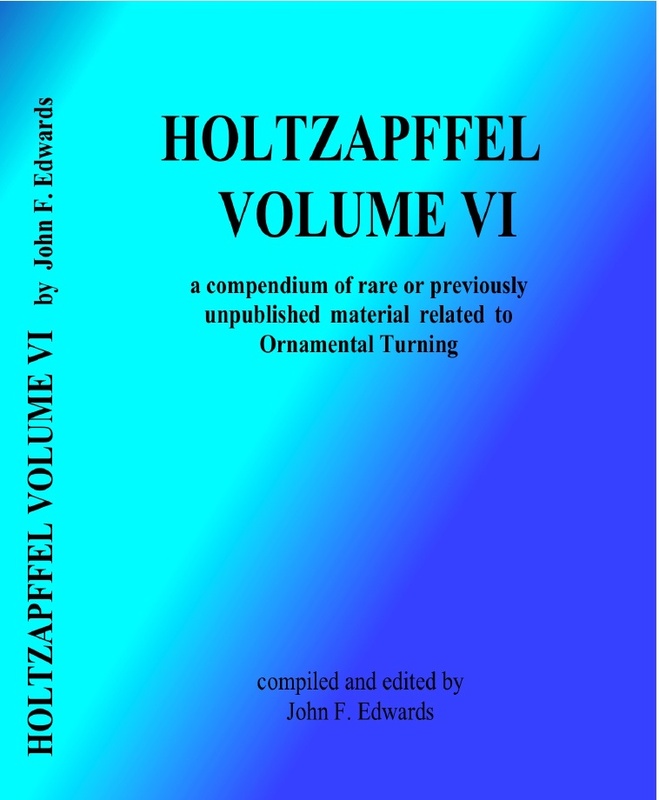 “The title of this book is really a stratagem, intended to attract experienced Ornamental Turners who are aware that the great work “Turning and Mechanical Manipulation” by John Jacob and Charles Holtzapffel was planned to be extended to six volumes but only five were completed. A note by Holtzapffels in Volume V made in preparation for the final volume indicates that Volume VI would deal with the Principles and Practice of Amateur Mechanical Engineering, namely: lathes with sliding rests for metal turning, self-acting and screw-cutting lathes, drilling machines, planing engines, key-groove slotting and paring machines, wheel-cutting and shaping machines, etc. Interesting though that might be from an historic point of view, very little of Holtzapffel’s material on amateur mechanical engineering has come to the attention of the compiler and, in any event, the subject has been well-covered by other 19th century writers. 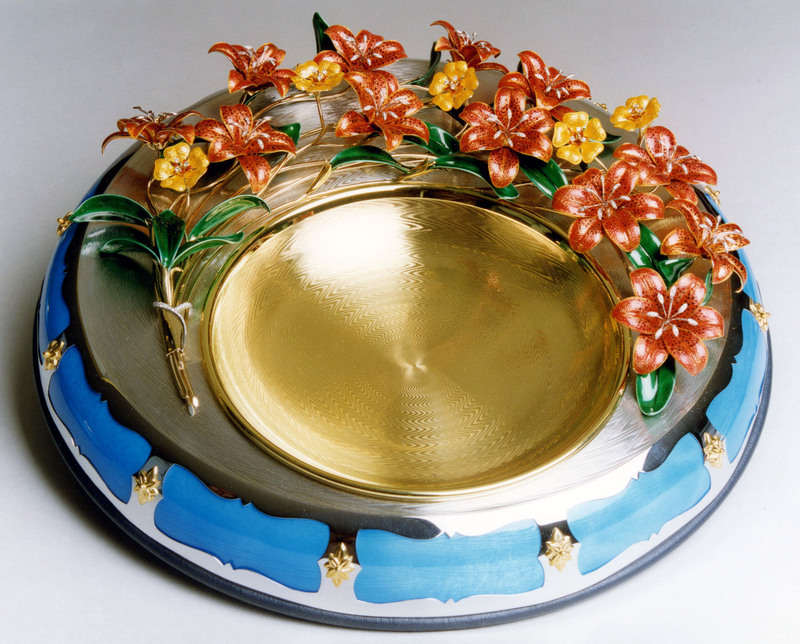 The compiler of this book cherishes the instinct that the growing number of Ornamental Turners working at the beginning of the twentieth century would surely have demanded vociferously that Holtzapffel should devote a new volume to the many known ornamental turning techniques and accessories that had not been included in Volume V. This book is intended to go some way towards filling this gap and it is therefore hoped that it will not be a disappointment to the reader. Holtzapffel & Co. had long provided hand-written notebooks for buyers of their more exotic equipment, like Epicycloidal and Rose Cutting Frames and Geometric Chucks; some of these are quite rare and some of the information contained in them has never been published generally. Also, around the turn of the century several typescripts were issued by Holtzapffels describing various forms of Rose-turning apparatus and the automatic drives which were developed to aid their use. When James Miller speaks….. Listen!! 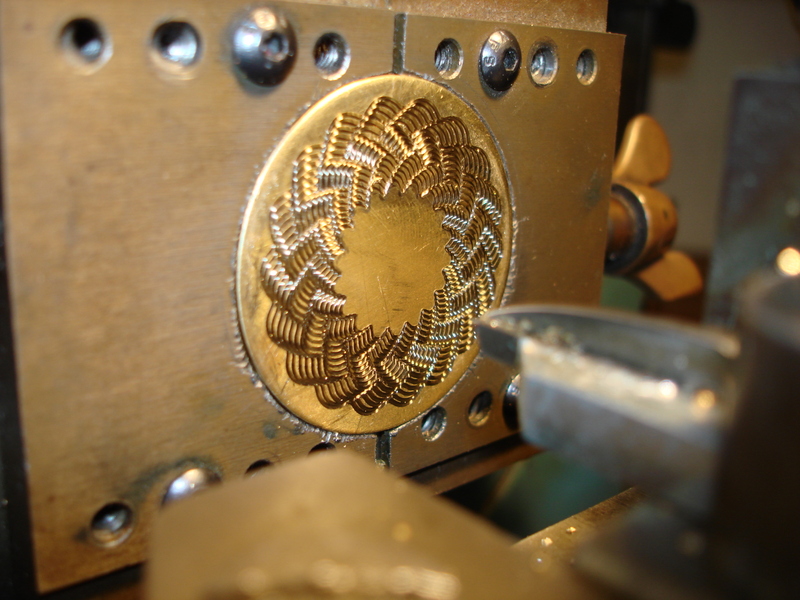 Mr. James Miller, an extraordinary goldsmith has kindly sent several photos that are now posted on a new page, titled, “Gallery”. These are the works of modern day masters in their field; Mr. Miller as a goldsmith, and his collaborators who of course include renowned engine turners/ guillocheurs and enamelists. Additional photos to add to the Gallery would most certainly be welcome! Hello! Looking at the top of the “Home” page, you will find another page added. 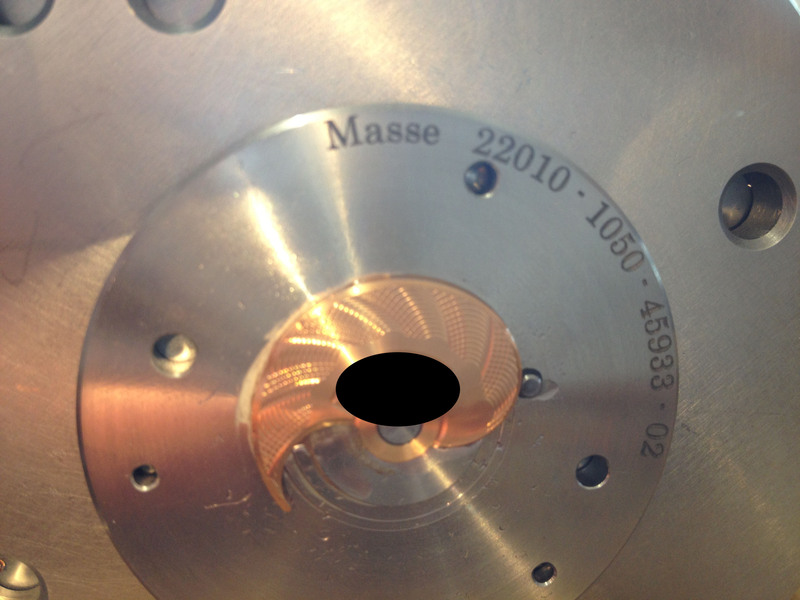 It is titled, “Engine Turning/Guilloché Guide and Glossary”. It is located alongside “About” and “Bibliography”. Hopefully, it can be added to and expanded over time with the assistance of anyone who would like to share knowledge of this art. I have begun a compilation of both instructive and inspirational books/articles/papers which will serve as a bibliography of sorts. This page can be found at the top of the home page. I will be adding to it and hope to receive suggestions in an attempt to make it as thorough as possible. Please have a look and do please contribute!